You'll love this updated Capistrano model with decorator interiors colors, vaulted ceilings and beautiful built-in shelving. The flooring, roof and hot water heater were replaced in 2011. The a/c unit was replaced in 2006. Kitchen has added cupboards plus upgraded cabinetry. The large laundry area includes a completed office space. Garage has cabinets for storage plus a workbench. 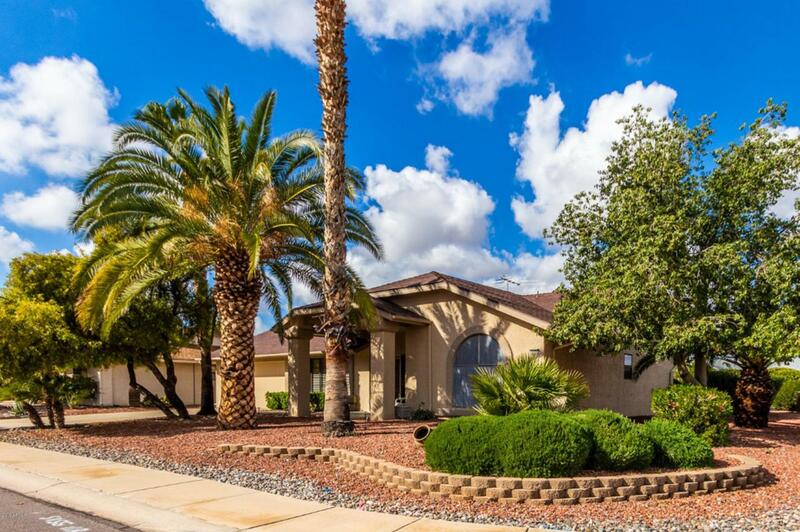 The home features a wonderful private covered patio with 42'' gated wall, tile flooring on patio & desert landscaping including citrus and other native plants designed by owners for privacy. Furniture available for sale outside of escrow. 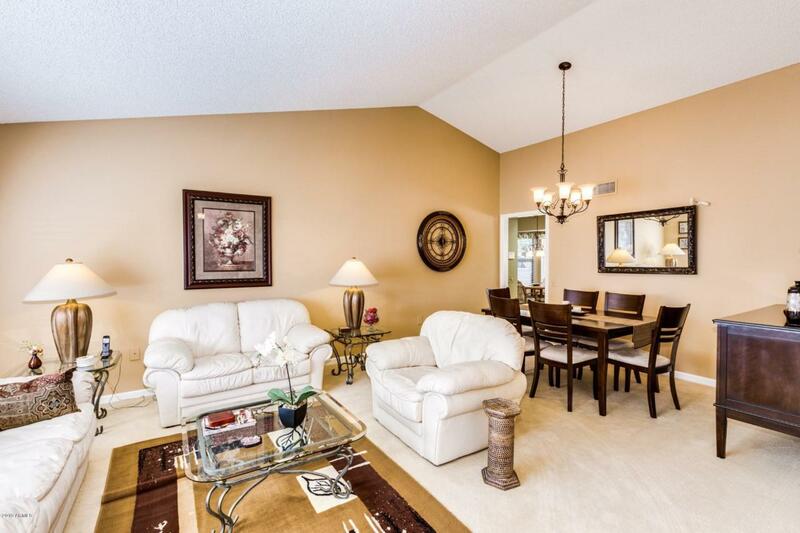 This is a DelWebb 55+ adult community. Come see this beautiful home today and make it yours!